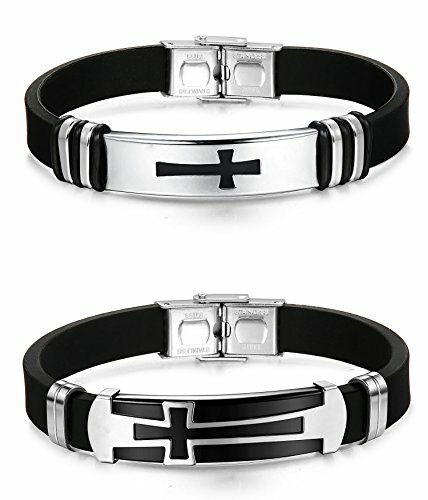 Religous design with cross symbol, perfect gift for yourself and your loved one. 8.5 inch length, secure clasp, easy to put on and take off without loosing it. Combination of quality stainless steel and rubber, solid and durable. Lightweight Material, Comfortable to Wear, Perfect for Men and Women.